If you are a registered HEi-know user, please log in to continue. 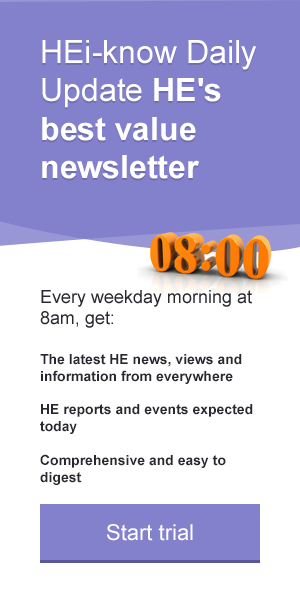 You must be a registered HEi-know user to access Briefing Reports, stories and other information and services. Please click on the link below to find out more about HEi-know. The gap between the pay of graduates in professional jobs requiring a degree and those in roles that do not has dropped on average by 14 per cent over the past five years, according to a new analysis. The Complete University Guide found that starting salaries for graduates in occupations where a degree is considered necessary continue to be higher than those in other jobs, but the difference has dropped as much as 66 per cent for graduates holding degrees in some subjects. The findings, based on the annual Destinations of Leavers from Higher Education survey, found that only seven out of 66 subjects saw an improvement in the professional graduate premium over the period of the study: Nursing, where there was an increase of 139 per cent, Electrical and Electronic Engineering (59 per cent), Italian (37 per cent), Computer Science (30 per cent), Archaeology (26 per cent), Physics & Astronomy (19 per cent), and Russian (14 per cent). For 2014 graduates, the widest differentials are in Chemical and General Engineering, ranging from £11,736 to £12,530. The narrowest advantage is among graduates in Celtic Studies, Middle Eastern and African Studies and Music, where it ranges from £2,013 to £2,482. The average across all 67 subjects surveyed (including General Engineering which is omitted from the time line) is £6,681. Only 25 subjects compared by TheCompleteUniversityGuide.co.uk are above the average for professional employment of £22,057. These include Dentistry, Medicine and a handful of other subjects where a degree is a requirement. Although the graduates surveyed were not liable for the full £9,000 a year tuition fees introduced in England in 2012, starting salaries in 34 subjects were above the £21,000 threshold for repayment of tuition fee loans, while 33 were below it. Dr Bernard Kingston, principal author of TheCompleteUniversityGuide.co.uk, said: “Securing a job in a professional field still brings with it a higher starting salary. But there has been a continuing decline over the years in the majority of subjects. “Only a handful have shown a widening of the differential between a graduate in a professional occupation compared with a graduate in the same subject in a non-professional one. “As tuition fees of £9,000 a year become the rule in England, and with a loan replacing maintenance grants from 2016, starting salaries assume a particular significance when the threshold for repayment begins at £21,000.